Guess who is Hungarian and has almost 2 million followers on Facebook? This guy! 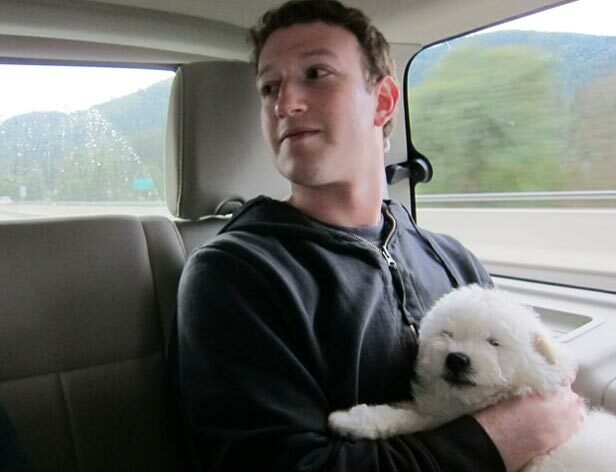 No, I am not talking about Mark Zuckerberg. I am talking about the dog. Duh. Beast (public figure) is currently probably the most famous Hungarian alive. He is a puli dog, one of the most easily recognized and also fluffiest staples of our country, and he has the good luck of being owned by one of the wealthiest people on the planet. Beast also has his own Facebook page and 1,855,817 followers. That's more than Pope Francis, people. So, the world-famous Beast and that Facebook guy both have strong enough ties to Hungary for us to shamelessly claim at least one of them as their own. There were even articles about them visiting last year; to prove my point, the articles are mostly about the puli, not Zuckerberg. You can read one of them here. We really need to cash in on the puli popularity more. Lol I love how it seems Hungarians care more about Beast than Zuckerberg (he's just that facebook guy).